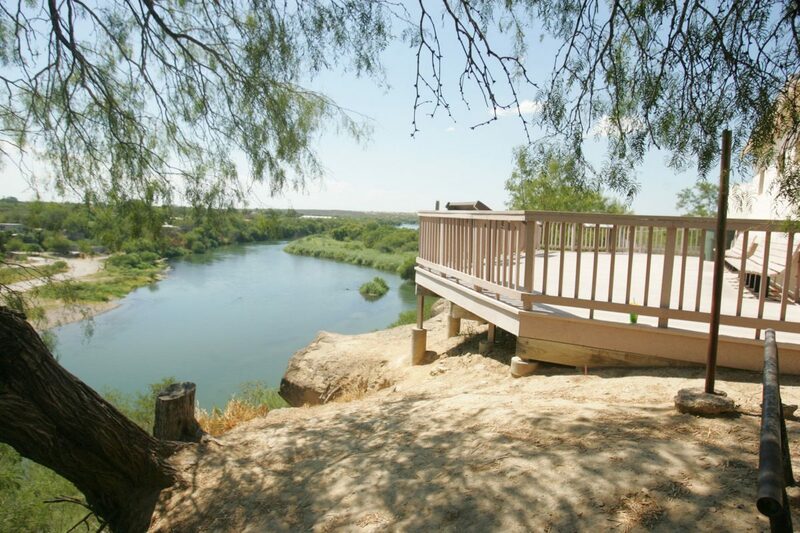 An observation deck along the Roma bluffs looks out over the Rio Grande near downtown Roma. The bluffs, part of the World Birding Center, could be heavily affected by the border wall. Starr County residents will have their chance to voice concerns to U.S. Customs and Border Protection officials about the proposed construction of border wall fencing. 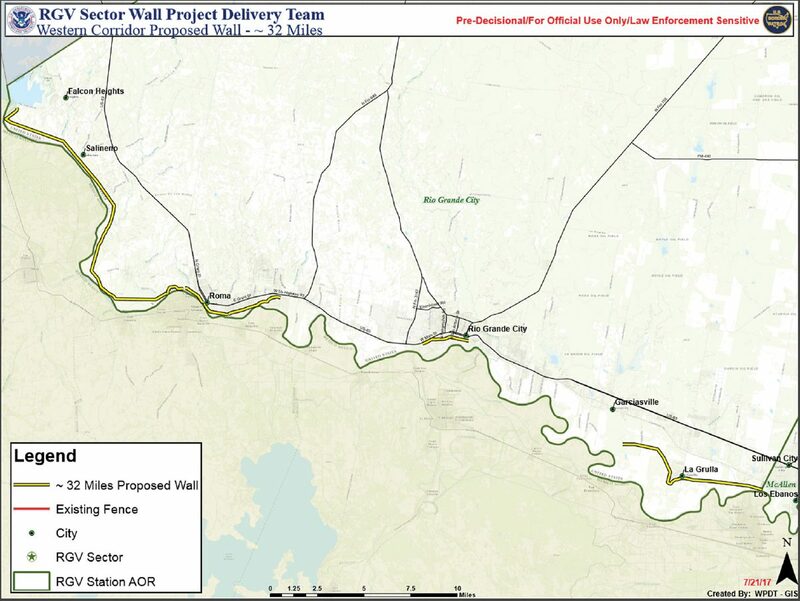 Local environmentalists are set to hold an open forum Tuesday night in Roma for residents of Starr County to update them about information regarding wall construction in their area and how it may affect them. Although there will not be CBP representation on-hand, attendees can submit questions or concerns that will be shared with the agency. The forum comes a week after CBP officials tweeted pictures of four of the eight border wall prototypes that are being constructed along the U.S.-Mexico border in San Diego. It’s also been more than a month since CBP officials sent a letter to the Lower Rio Grande Valley Sierra Club regarding its plans for border wall construction in Hidalgo and Starr Counties. In that letter, dated Aug. 25, addressed to the Sierra Club and executive board member Scott Nicol, CBP officials stated they are in the “initial stages” of planning for proposed levee wall along 28 miles of already existing levees located in Hidalgo County and 32 miles of bollard wall in Starr County. According to the letter, the 32 miles proposed in Starr would be made of 20- to 30-foot tall steel bollards, and would include a 150-foot enforcement zone on the south/river side of the bollard wall, detection technology, video surveillance and an all-weather patrol road parallel to the bollard wall. Representatives from the Texas RioGrande Legal Aid hosted a public information session this summer in Roma to educate attendees about their rights, if and when the government approached them about their land. The session, however, didn’t draw many attendees, according to city officials. In July, members of the U.S. House of Representatives approved $1.6 billion for border wall construction requested by the administration. The U.S. Senate has yet to vote on funding for the wall. The Monitor spoke with residents and city officials from Roma in August about the proposed wall construction and potential damage to the area. City officials expressed concern about how construction would affect neighborhoods near the river and the city’s historic downtown district. Founded in 1765, Roma had its nine-square-block area around Roma Plaza designated a National Historic Landmark in 1993. The area features historic structures such as the John Vale/Noah Cox House, and the World Birding Center Roma Bluffs, to name a few — just one area that could potentially be affected. Efren Olivares, an attorney with the Texas Civil Rights Project, is also expected to be at the forum. Olivares will be on-hand to provide residents with information pertaining to their rights as landowners as it relates to the proposed construction. It was Olivares who challenged the federal government more than a decade ago over landowner rights in Los Ebanos, with nearly 100 cases still pending. Representatives from La Union Del Pueblo Entero, a local immigrant advocacy group, will also be in attendance. According to a news release about the forum, residents have until Oct. 20 to submit comments, which can also be submitted by emailing commentsenv@cbp.dhs.gov. The forum is open to the public and will be held at Casa Del Rio in Roma from 6:30 p.m. to about 8:30 p.m.